The XL Pleat collection comprises a stylish mix of 50 mm pleated fabrics. The collection offers both functional and decorative varieties. The fabrics in the Honeycell collection have excellent reflecting and insulating properties due to their unique cell structure. They are available in many different varieties. Because of its oversized pleats these 50 mm pleated fabrics are especially suitable for large windows. 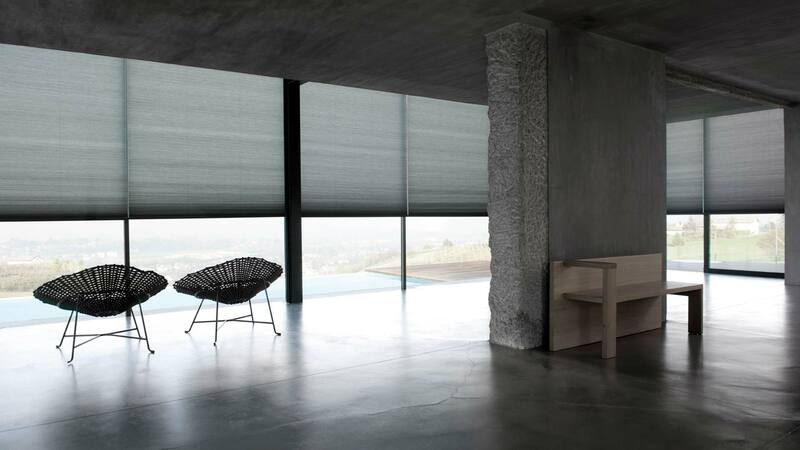 The collection offers translucent, black-out and Trevira CS fabrics. Besides basic fabrics we also offer decorative varieties with sophisticated embroidered patterns, graphic prints and a lively crush-effect. The XL Pleat collection also includes fabrics with a satin sheen, luxury jacquards and Japanese paper. Their unique cell structure provides Honeycell fabrics with excellent insulating properties. In addition to 25 and 45 mm single-cell and double-cell varieties, the collection also offers a unique 20 mm single-cell variety. With translucent, black-out, flame-retardant and reflective varieties the functional possibilities are endless. The innovative designs, colors and various natural textures in the collection project atmosphere. The horizontal lines of pleated blinds create a modern effect. In addition to 20 and a 50 mm pleated blinds system, our product range also includes a stylish collection of 50 mm pleated fabrics and a wide range of ‘Honeycell’ fabrics. Combined the 50 mm system and its 50 mm fabrics are the XL Pleat concept especially suitable for large windows. 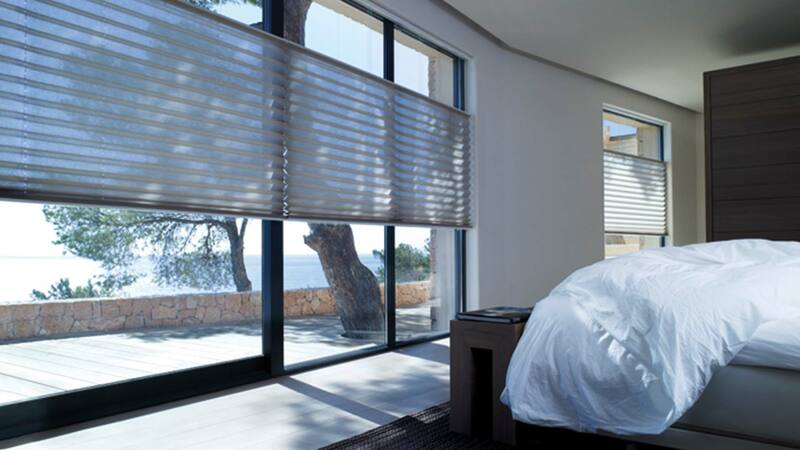 Our product range includes two different system types for pleated blinds. Our 50 mm XL Pleat system is suitable for 50 mm pleated fabrics and 45 mm Honeycell fabrics. 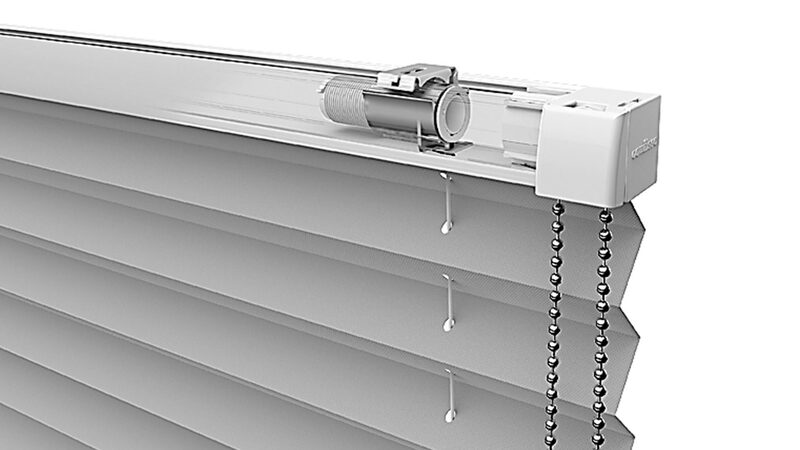 The Absolute system is suitable for both 20 mm and 25 mm pleated fabrics and easy to assemble, install and use. The 20/25 mm pleat system’s main features are its easy assembly and the integrated child safety. Four patented parts guarantee simple installation and excellent ease of use. In addition to the basic design, there is also a top-down/bottom-up system, an automated as well as a tensioned variety. Download the technical catalog of this system here. This 50 mm pleat system of our own design allows for manufacturing systems with extremely large dimensions of up to 5×5 meters. The innovative chain mechanism ensures this system – even with these dimensions – will always roll smoothly and lightly. The system offers various configuration options including a top-down/bottom-up and an automated variety. Download the technical catalog of this system here.